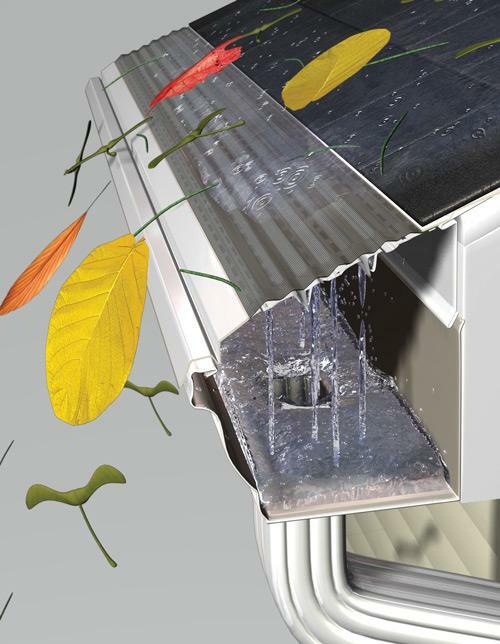 MasterShield gutter guards keep leaves and other debris out of your gutters. Keep your gutters from clogging forever - guaranteed! Are you tired of cleaning your gutters or having to pay someone to clean your gutters? Installing gutter guards can save you time, money and hassle. Leafless in Portland is your exclusive installer of MasterShield® Gutter Guards in Vancouver and all of Greater Portland. MasterShield's patented microfiltration technology keeps your gutters free of debris while letting the water continue to flow into your gutter system. 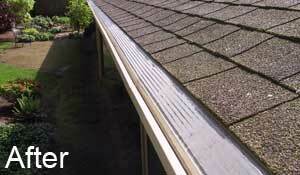 MasterShield installs on new or existing gutters. Ready to say goodbye to cleaning your gutters forever? Stop wasting time and risking injury with costly gutter cleanings. Schedule a gutter guard consultation with us at no obligation. We'll provide you with a free estimate to add MasterShield gutter protection to your home. Call 1-844-385-7709 or click below to request a quote today. 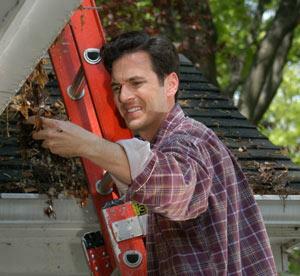 Clogged gutters can cause major problems when left untreated. 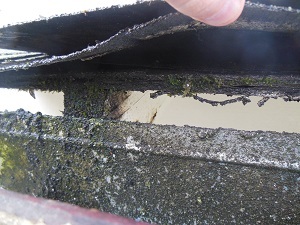 Rotting fascia board caused by clogged gutter. 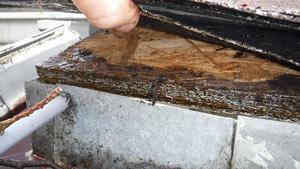 When your gutter clogs and fills with water, this can cause fascia boards to rot. 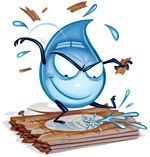 Overflowing water can also damage wood siding and window trim. 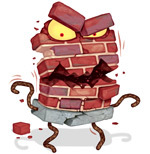 When you don't have gutters, water will settle against your home and cause foundation shifting. When water has a chance to soak and settle next to and under your foundation walls, it has a chance to collect and flood the soil. If it’s backfill (common unless your home was built on a completely flat lot) you can get uneven settling and massive damage. 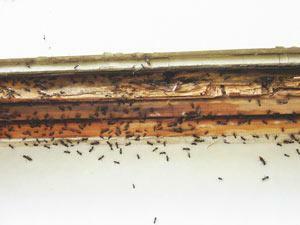 Ants and other wood destroying pests can make short work of your exterior. Rotting wood is never a good sign. 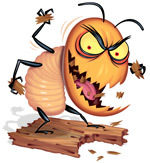 When moisture gets into areas it's never meant to be, it becomes an ideal breeding ground for damaging insects like carpenter ants, termites, and more. 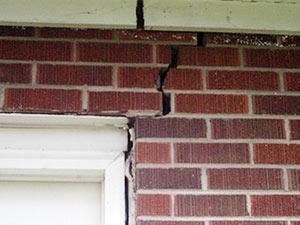 Water and moisture can cause mold growth. Water will always seek the path of least resistance. 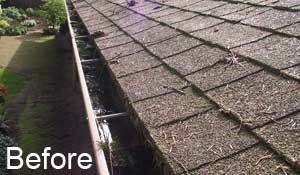 Unfortunately, if your gutters aren’t working properly, water and moisture will get into every nook and cranny. This creates an ideal environment for mold, mildew and decay. 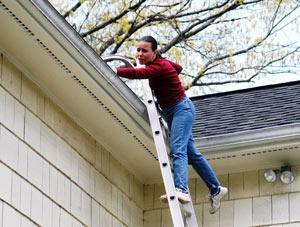 Cleaning unprotected gutters can be a dangerous job for homeowners. Cleaning your gutters can be dangerous without the right equipment. One out of five falls causes a serious injury such as broken bones or a head injury. 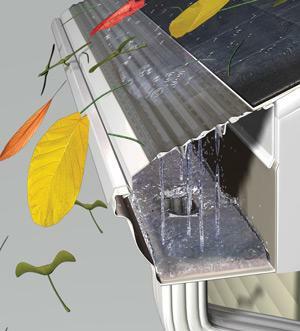 Gutter guards can keep out leaves and other debris and prevent your risk of a falling injury. Watch this animation of how MasterShield works. MasterShield's micro mesh gutter protection was first introduced in 2001 by the inventor Alex Higginbotham. Since then, MasterShield has continued to evolve, providing you with better technology and performance than other gutter guard systems. I am really, really happy with how it looks. You guys did an amazing job, even on the parts that I was sure were going to be a lot of trouble. Your guys worked really hard and were very friendly, and they did a great job. The informative sales pitch and presentation did it for us. I hated getting my gutters cleaned. I'm so glad I don't have to worry about that anymore. It looks great and I'm excited to see how it works. You guys did a great job! To Whom It May Concern,Every home owner beware of Leaf Guard gutters!Let me share my experience.In 2004 I had Leaf Guard Gutters installed. The total cost was $ 8,705.00. The written advertising and paper work says that Leaf Guard never needs cleaning.They would never loosen or tear even in heavy snow, they would never stain, peel or rot the fascia boards due to overflow, the gutters will never wick moisture under the roof causing rot that cannot be seen and the list goes on and on.The material goes on to say that the gutters will be installed with 1 1/2 inch screws every two feet instead of nails. Well, let me tell you, my experience is that is all false sales aids.The day after my gutters were installed it rained and the gutters leaked in every corner. We called, Leaf Guard sent someone out who walked around and looked at the situation. His response was that it wasn't the gutters but that my fascia boards were the problem. I said, "If the fascia boards were damaged, why wasn't I told so they could be repaired prior to installation. "His response was that wasn't their responsibility. Subsequent calls to them went unanswered. In several areas you could see light coming in between the back of the gutters and the fascia. In December a bad storm took out a giant tree that damaged my roof and gutters, (2 sections), and I was faced with a difficult decision, have Leaf Guard replace the damaged sections or foot the bill for new ones. At first I thought I just had a bad distributor, but quickly learned the same folks had a franchise for this area so there was no one else to call. I searched the net and found lots and lots of complaints about Leaf Guard, similar to mine.After a lot of investigation we decided to replace the gutters with Master Shield System. Now the real evidence became vividly exposed. The Leaf Guard Gutters never needs cleaning.Right.You should have seen the debris that poured out of those gutters when they came down. The were 1/3 filled in the bottom with leaves and pine needles, the tops had become custom homes for hornets and wasps and in addition all of the debris provided wonderful raw materials for ants to build homes under my roof.Now let's talk about screws. Every single screw they put into the gutters were not self sealing creating a wicking for water to destroy my fascia boards, right around every screw and in particular every single corner was damaged. Many of the screws were only partially drilled in all the way and one corner had ZERO screws!Are you kidding Me!Buyer beware. There poor installation and poor quality gutters has cost me dearly in money, time, and the appearance of my property, not to mention dodging waterfalls when it rains, and let's face it, it rains a lot in Oregon.What a relief to work with the folks from Mater Shield. The showed us every issue, replaced all the damaged fascia board at a very nominal cost, took their time inspecting every inch before installation. And took extra time in making the installation perfect, and yes they used self sealing screws and properly caulked everything. Their attention to detail and professionalism was what we all want on home projects, but seldom ever see or even hear of these days.Do yourself and your home a favor, Run Don't Walk away from Leaf Guard, and Run to Master Shield, It's a superior product, company, and team. Our installers were great, they even treated our curious black labs with love and respect and the left the grounds and the house much better than they found it.Thank You Master Shield, I know I will never have to worry about my gutters again and I know that if anything happens 1 can count on your warranty and service.Oh, no more day light streaming between the back of the gutters and the fascia boards. No more waterfalls! Yea!! !I'm going to be even happier when you can come back and do my other buildings and be totally rid of Leaf Guard.Sincerely, Rena D.
It was such a hassle to keep our gutters cleaned out before because of all the fir tree fuzzies. Thank you! "The overall design of the product is what attracted me. It..."
"Estimator (Adam) was very helpful. Project manager (Eric)..."
"Great presentation. Salesperson very knowledgeable. All..."
"Hard workers, got right to the job. Professional." Get answers to your questions about gutter guards and how the MasterShield gutter guard system is installed. During your in-home consultation, we will provide you with details on pricing and material options. Contact us today to request your free consultation and estimate, available in Hillsboro, Tigard, Beaverton, Lake Oswego, Oregon City, Tualatin, West Linn and throughout Oregon and Washington.